To enhance the experience of those visiting, presenting and working at the Robert H. Jackson Center, a $1.5 million renovation project will start at the facility later this year. The center, with the mission to advance public awareness and appreciation of the principles of justice and the rule of law as embodied in the achievements and legacy of Robert H. Jackson, U.S. Supreme Court Justice and Chief U.S. Prosecutor at Nuremberg, was one of 10 projects selected to be appropriated a portion of the $10 million Jamestown received from the state for the Downtown Revitalization Initiative program. Susan Murphy, Jackson Center president and chief executive officer, said the $1.5 million in state funding will go toward renovating the most significant needs that were accessed by Clark Patterson Lee. She said the architectural, engineering, planning and design business created a five-year master plan for the center, located at 305 E. Fourth St. She added that by working with collaborative partners like St. Bonaventure University, center officials produced a wish list of upgrades that could be done to enhance the facility. The renovation project will include a more welcoming interior entrance area. Murphy said they want to open up the entryway to improve the gathering space for people when they visit the center for a presentation in the theater. She said current items like a coat rack by the entrance doors will be done away with and an enclosed closet area will be constructed in the vestibule. She added that the new entrance area will also allow for additional exhibit space. “This area has not functioned as well as we would like,” she said. In the theater, Murphy said a sound buffering shed will be constructed outside the emergency exit to dampen the sound from vehicle and pedestrian traffic along East Fifth Street. She said a new backstage area will also be created to provide adequate space for presenters and performers before theater events. The renovations will also improve interoffice efficiency because they will be able to house the center’s staff upstairs, Murphy said. Currently, some of the staff works on the first floor while others work on the second floor. She said they will also be installing a small kitchen for the staff and for the conference room upstairs, which can be rented by organizations for meetings. 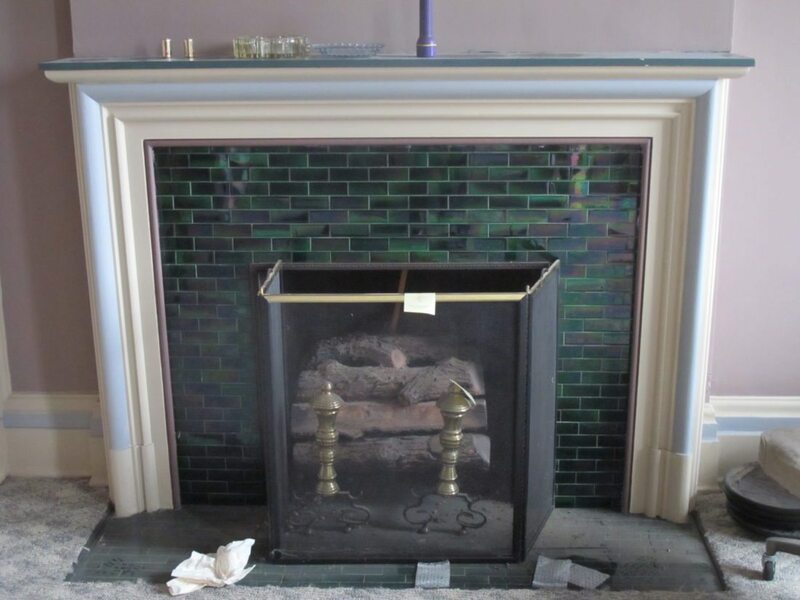 “The upstairs space needs renovating, but also has beautiful original features,” Murphy said while showing The Post-Journal a fireplace upstairs. 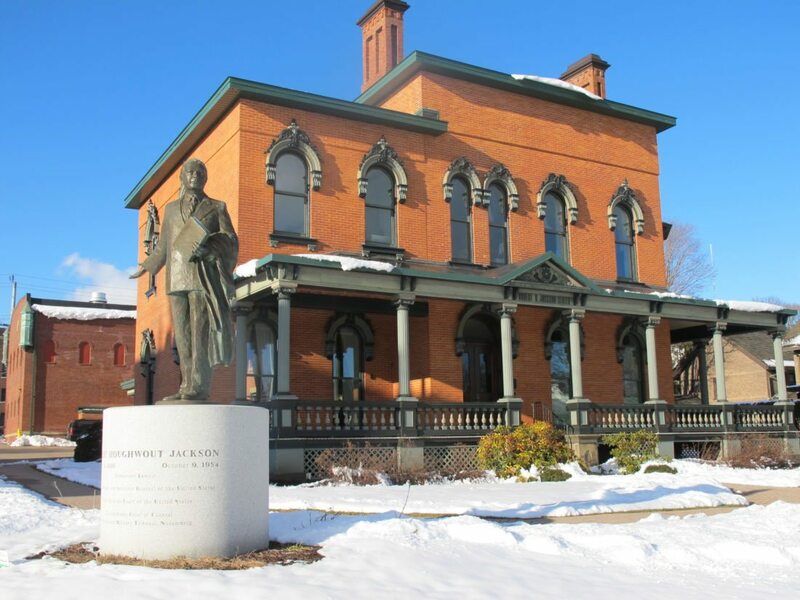 The Jackson Center is housed in the historic Alonzo Kent mansion and former Masonic lodge, which was rehabilitated in the early 2000s when the center was created, to accommodate administrative offices, a museum, exhibit space and meeting and programming facilities. The mansion was built in 1859-60 by Kent, a wealthy businessman and president of the former First National Bank of Jamestown. The style chosen for this house was Italianate, which was just beginning to grow in popularity the decade prior to the Civil War. Kent and his family lived in this home until his death in 1888. After his death, the mansion was purchased by Rose Elena Wetmore Kent, the wife of Alba M. Kent, who was a nephew of Alonzo Kent. The home was extensively remodeled at this time and became a center of social activity in Jamestown. Rose Kent was the mother of Charles D. Wetmore, who was a member of the firm of New York architects, Warner & Wetmore. The Kent family owned the home until 1920, when they sold it to the Scottish Rite Consistory for $50,000. An unorthodox feature to the center’s second floor is a split-level northern section. Currently, there is a small apartment on the lower level while a library sits atop. Murphy said the renovation project will level this space so there is just one level on the second floor. She said the area will be turned into a library space that visiting professors or interns can use. The rehabilitation project will also include installing an elevator. Murphy said this will allow for the building to be more handicapped accessible. Currently, there is no American With Disabilities Act accessibility to the second floor. She said the elevator will also make it easier to move items in and out of basement storage. A new air conditioning system will also be installed to make the center more comfortable during the summer months. Murphy said the renovations will start once the State Environmental Quality Review is completed. She said because of the historic nature of the building located in the Jamestown Historic District, the SEQR process is longer than normal. She added they have a letter from the State Historic Preservation Office stating the renovation project adheres to historic conservation guidelines, which should help speed up the process.